The year is 1862, and Emily Barlow has never quite fit in with the rest of the high society young women who are supposed to be her peers. Raised in privilege—and expected to live up to the part now that she is old enough to marry—Emily cares more about her dream of becoming a teacher than the idea of hosting fancy tea parties and being courted by potential suitors. Feeling that she cannot continue being told what to do any longer, Emily makes the bold decision to go out west so that she can start a school and teach the children of the Frontier. 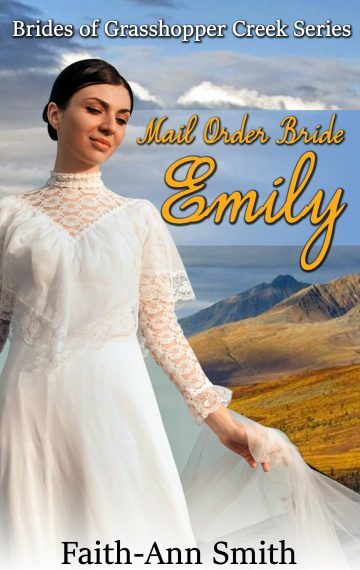 In order to fulfill her dream, however, she must become a mail order bride. After arriving in Bannack, Montana, she is delighted to find that Chad Gaines, the man who she intends to marry, appears to be sweet, kind and caring. Soon though, she discovers that Chad is harboring a secret that could threaten their newly forming relationship and the very future she has long been dreaming of.